Several quantitative models for the prediction of aqueous solubility of organic compounds were developed based on a diverse dataset with 2084 compounds by using multi-linear regression analysis and backpropagation neural networks. 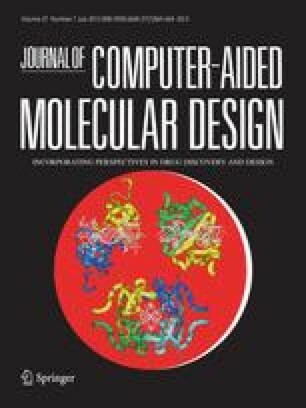 The compounds were described by two different structure representation methods: (1) with 18 topological descriptors; and (2) with 32 radial distribution function codes representing the 3D structure of a molecule and eight additional descriptors. The dataset was divided into a training and a test set based on Kohonen's self-organizing neural network. Good prediction results were obtained for backpropagation neural network models: with 18 topological descriptors, for the 936 compounds in the test set, a correlation coefficient of 0.92, and a standard deviation of 0.62 were achieved; with 3D descriptors, for the 866 compounds in the test set, a correlation coefficient of 0.90, and a standard deviation of 0.73 were achieved. The models were also tested by using another dataset, and the relationship of the two datasets was examined by Kohonen's self-organizing neural network. Abbreviations: BPG – backpropagation; KNN – Kohonen's self-organizing neural network; MLRA – multilinear regression analysis; MMP – mean molecular polarizability; RDF – radial distribution function.